MINING.com: Thank you for taking the time to give an interview to MINING.com. Could you please give us a brief snapshot of Metso? Metso President and CEO Nico Delvaux: Our company goes a long way back. The origins date to 1868, we celebrate our 150 years next year. Then in 1999 the name Metso was taken as the group name. Our head office is in Helsinki, we have about 11,000 employees, in more than 50 countries. We serve the mining, aggregates, recycling and process industries. Last year we had sales of 2.6 billion euros, of which 66% of that business was services. MINING.com: Could you please explain how your three divisions – Minerals Services, Minerals Capital and Flow Control – are structured? Nico Delvaux: We report our minerals business and our flow business. Our flow business is valves and pumps. Our minerals business is all the rest. When we report those figures we report service and equipment separate. You could say our minerals business is roughly 70% of our total business, and of that 70%, another 70% is service, so 30% is equipment. On the flow side it’s more 60-40. We changed our internal organization recently, and the new organization will start officially on January 1, 2018. We will have seven dedicated business areas reporting directly to the CEO: Mining Equipment, Aggregates Equipment, Minerals Services, Minerals Consumables (i.e. wear parts), Recycling, Pumps and Valves. The reason why we did the change is that we believe all seven businesses have little internal operational synergies between them. Take for example mining and aggregates, where the mining customers are global. In aggregates it’s more a regional business with 50% of our business done by distributors. In mining it is mainly direct. We believe that all seven have good market dynamics that make them good long-term businesses to be in. All seven have the potential to grow organically at good pace in a profitable way. We also believe that all seven are interesting for add on acquisitions. 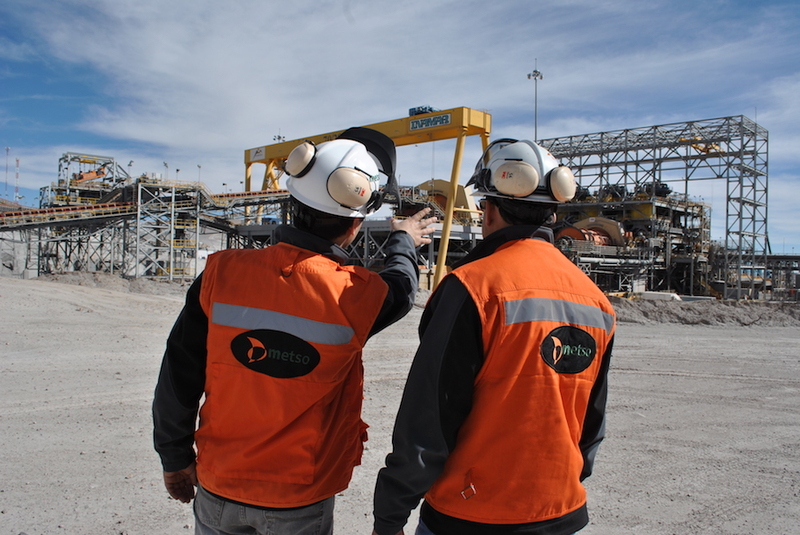 MINING.com: Which minerals are most important for Metso? Nico Delvaux: Our exposure is mainly to copper – around 40 to 45%. Iron ore represents around 20%, and then it’s gold. Gold is foreseen to be one of the minerals that’s going to grow faster, next to copper. MINING.com: Interesting. Thanks for breaking those minerals down. 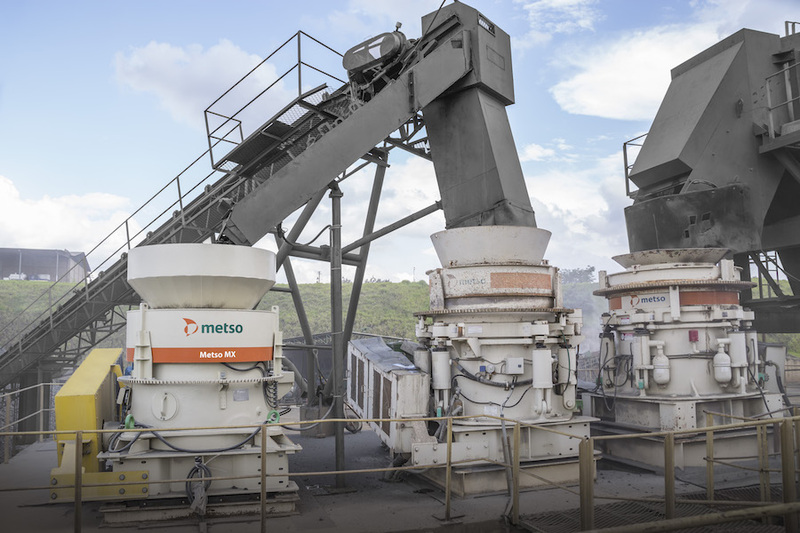 How will dividing Metso into these seven business areas benefit your customers? Nico Delvaux: We have done it to create more accountability, more transparency and more agility. We have created the structure to get more speed and to be able to make better decisions. So in that aspect we believe that the new organization will serve our customers in a better way, with a more focused and dedicated solution offering for the specific customer segments. We also know some of the businesses are more fluctuating than others, for example mining has much more fluctuations than flow control and valves. MINING.com: You will soon assume a new position as the CEO of another company. What does that mean for Metso? Nico Delvaux: Metso is a great company with a promising future, and the Board of Directors as well as the management is fully committed to the strategy and the way forward. My decision to leave has nothing to do with Metso – I got a once-in- a-lifetime job proposal, and decided to take it. Work continues normally and the Board has already initiated the search for a new CEO. MINING.com: In October Metso won a major equipment order to Russia, for $100 million. Are you able to give us some specifics about this order? How significant was this order for Metso? Nico Delvaux: Unfortunately, we can’t give the name of the customer. It’s a copper customer and the order is for two complete grinding lines. Deliveries will take place within the next three years. It’s a rather big copper mine, the plant will be producing 28 million tonnes of copper a year. It’s definitely by far our biggest order this year. It’s not every day we get an order for $100 million. Typical projects range between $1-2 million and sometimes $20-30 million. MINING.com: Over the last few years the mantra of the big mining companies, many of which are your customers, has been cost cutting. 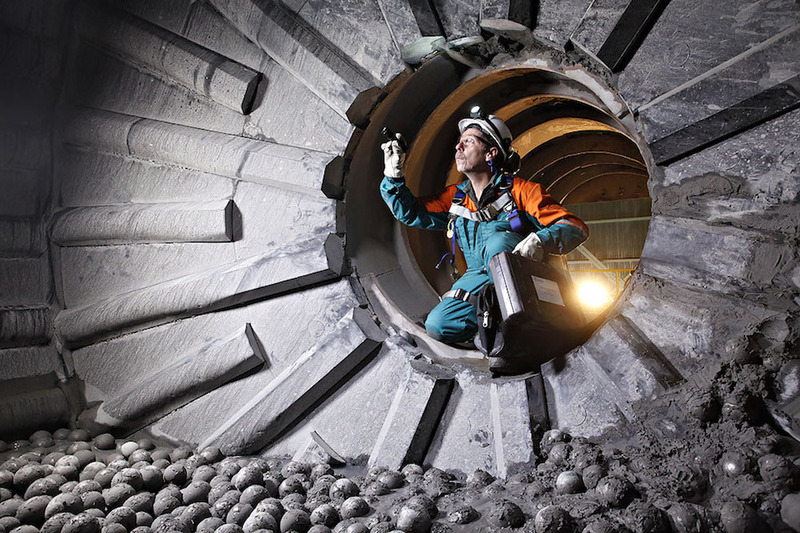 Can you name one or two ways that Metso helps mining companies to reduce their opex? Nico Delvaux: I can give two examples. The first one is crushing. We just recently launched a new MX Cone Crusher. The first version, which is good for the aggregates producers, is still on the low side for a mining customer, but we are expanding the range into bigger sizes that will be even more suited to our mining customers. It’s really a product that reduces total cost of ownership for our customers. On one side it improves productivity, and on the other side it makes the installation safer. It is also more service friendly and adapts the crushing capability to the crushed stone quality in a more automatic way. Another example is the mill linings, where we can significantly improve productivity. If the customer can improve productivity thanks to the longer lifetime of our mill lining, let’s then share part of that benefit. We earn more if we can give more productivity to the customer. We see more and more customers going for this type of total cost of ownership solutions. MINING.com: There is quite a bit of material on your website about digital mineral processing. What do you think the future holds as far as using the Industrial Internet of Things to improve mineral processing efficiency? Nico Delvaux: It’s a big topic and still very much in development, but I believe there are two aspects. First the digitalization of the equipment as such. For example the recently launched MX Cone Crusher has a lot of sensors, which we can use for three things: one, we can use it to make better service proposals, which will give our customers a lower cost of ownership and more business to us – so it’s really a win-win situation. The second thing, if we better know the running conditions of the equipment, we can also do our service operations in a better way, as this will enable us to know what problems will come up through predictive maintenance. Or, if a component fails, the sensor tells us exactly what failed, and we can do service in a more efficient way, reducing our costs. In addition, by sensing the equipment we get fantastic information on the real running conditions of our equipment, and we can use that information to make better products for the future. Finally, if you put new products into the market, the sensors will also tell you when you have a problem and you can solve warranty and other technical problems faster. When you are able to combine sensor information over the full comminution plus processing cycle, or even starting before drilling and blasting all the way down to processing – and if you can bring that into a closed loop – I believe there are good opportunities for the customer to improve his overall performance and reduce total cost of ownership. MINING.com: Is Metso looking at investing more into that area? Nico Delvaux: Yes, we’re investing around $7 million on R&D around digitalization this year, and our ambition is to increase that figure significantly in 2018. MINING.com: Commodities have performed better over the last couple of years. Are mining companies still holding out on buying big-ticket equipment? Nico Delvaux: With the mining cycle you will see drilling and blasting picking up first, and then later crushing. Atlas Copco and Sandvik have seen double-digit growth for several quarters now, and we’ve seen ours picking up in quarter two and quarter three, so we are very confident on market conditions. We see good diversified quotation platforms, which is good because it reduces risks. Market conditions today are very healthy. They’re on a good high level. I’d say the only thing that’s missing to make it really very exciting is the lack of greenfield projects. We don’t see greenfield projects coming yet, but I’m confident they’ll come sooner than later. If you take for instance copper, the world needs it and sooner than later greenfield projects have to start. Those are projects where you make $30-, $40-, $50-million or more in one go. MINING.com: During your Q3 audiocast remarks, you mentioned that mining orders are up 31%. Can you elaborate on where these orders came from and which commodities (without revealing any sensitive client information of course). Nico Delvaux: It was mainly thanks to the big order in Russia, worth about $100 million. But even excluding that, orders were significantly up. It really came from everywhere – it’s not that one company or country sticks out. Like I also mentioned before, our quotation platform is very healthy, good diversified platform: we have a lot of quotations ranging from $0.5 million to $2 million. MINING.com: What kind of a year has Metso had financially? Your Q3 earnings per share were down from the same period last year. Your CFO said you have a high book to bill ratio meaning you are heavy on inventories. You had $33 million in backlog charges you had to write down. Commodities have recovered considerably since the downtown so why aren't customers buying? Nico Delvaux: I like backlog, because that means we have a lot of orders received that we still have to invoice. It’s not because you have a high backlog that you also have high inventory. If you take an order today, often the customer wants delivery in a year or two years. Depending on when the product is needed, it can be we are late, and then it’s indeed backlog, or it can just be that we have orders in our portfolio that aren’t due yet. I’m not concerned that we have late deliveries. The backlog is a healthy backlog, that we will transfer into sales in the coming quarters. The write-down in the third quarter of $33 million was related to around 10 mining projects, some of them all the way back to 2010 and a couple of them more recent. There were a few reasons for these write-downs. One was money we need to spend on additional costs to finally close the projects, because of bad terms and conditions agreed to years ago. Two, there were some provisions to be taken for old inventory that was sitting on the shelf for several years when projects were put on hold. Hopefully those projects will be reactivated one day and we can also re-use some of that inventory. And then the third reason was cost over-runs because of issues with several other projects. MINING.com: You said “Our minerals business is on a solid healthy level and we expect the market to remain stable. We don’t see any greenfield projects materializing.” How does the market look right now for Metso? You seem optimistic that mining has emerged out of the trough. Any areas of the world looking stronger than others? Which mineral commodities are you watching that could signal more buy orders? Nico Delvaux: Stable is sometimes seen as a negative word, but I said it’s stable on a high level for mining today, and we believe markets to remain at a healthy level for the rest of quarter four and quarter one, 2018. We see good activities in existing mines, people are investing and mining companies are making good money with the materials prices today. We also see good brownfield-related activity i.e. expansion of existing mine sites. What’s missing to make it fantastic is the greenfield projects, and we don’t see these coming yet. That doesn’t mean that we’ll have to wait three, four, five years, because there are a lot of projects that have been put on hold during the downturn, and which wait to be restarted. However, we don’t see this happening yet. MINING.com: The last couple of years with the mining upturn we’ve seen a lot more exploration, so one would think that some of those drill results would start to materialize into development projects fairly soon. Nico Delvaux: That’s something that would be good for the industry. And if it’s good for the industry, it’s good for Metso, too. Disclaimer: The content in this piece links to a Sponsored Post paid for by Metso.